This message was preached by Ranjit Rodrigues at Word of Grace Church on April 23rd, 2017. To listen/download the audio please click here. To listen to the Sunday's worship and prophetic contributions please click here. Ranjit leads Good News Church in Goa. Thank God that we don’t follow a philosophy or a dead idea, but a living person, that is Jesus. We will look at an incident that takes place in Genesis 18 in the life of Abraham. He has had 3 visitors in the story. Noon day in the middle-east and 3 visitors come and one of them is the Lord himself. We follow a living God who comes and meets with us. God wanted to judge the cities of Sodom and Gomorrah. But before doing that, he shared with Abraham because he is not ordinary man. He is God’s instrument in this wicked world. I verse 20, the Lord says that the outcry against Sodom and Gomorrah is very huge. We might think, no one cares about how we live. Whether we are moral or immoral it doesn’t seem to matter. There is wickedness in this city. There is one who cares and his name is God of all gods. We are living on the ground that is owned by the living God. Men and women think that they can live in this world in ways that are pleasing only to themselves. We were put in God’s creation to live in a way that pleases God. The air we breathe, water we drink, everything belongs to God. No one can make a molecule of water out of nothing. We are put here to live God’s way. When man lives on God’s planet in God’s way, things go well with that man. Therefore, man is accountable to God in the way he lives. God is not absent from creation. He is looking at how we live. These two cities chose to live in ways displeasing to God. There is a God before whom all of us have to give an account for our lives. Many people think I’m young and I’ll enjoy myself, I don’t need to think about God. Don’t worry about the end of the world, because your world could end tonight. God has come to Abraham and tells him about his plans. Q. Why is he talking to Abraham about this? 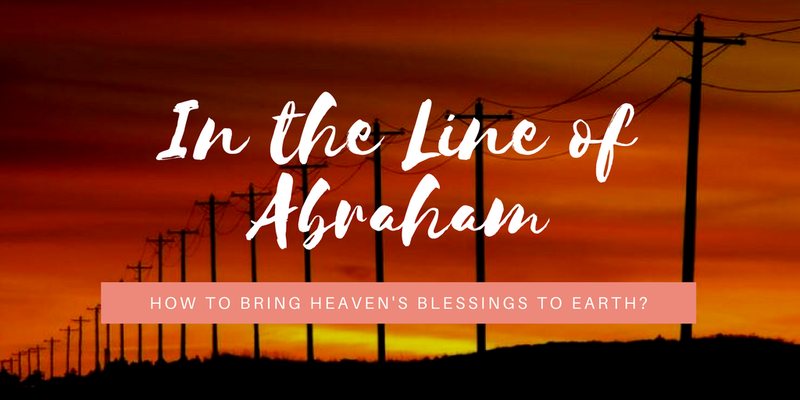 Abraham was a man chosen by God to be blessed so that he could be a blessing to the nations. He says he knows my heart and he will teach my word to his children. The Bible calls us children of Abraham because just like Abraham we are called to live a life blessed by God. You and I are anything but ordinary. When the Lord looks at this great city of Pune, it is you that makes him smile. The favour of God is on you because you are a descendant of Abraham. God’s plan is to bless you with his abundance and secondly to be a blessing. There is only one way to be a descendant of Abraham. It is by putting your faith in Jesus. You were made in the image of God, to be blessed by God. Darwin’s theory takes away the dignity of man. But we are made with dignity. And when we believe in Jesus we get put into the line of Abraham. When I met Jesus, I was taken out from the dead Rodrigues line and put in the line of Father Abraham. The abundance, prosperity and spiritual connection- that is my portion in God. After God tells Abraham what he is going to do, the two angelic being start walking away but Abraham stays. Then Abraham approaches God. This is the language of the law courts. Abraham takes his place between man and God before the judge of all. My instinct in this situation would be to say, “I agree they are horrible people, nuke them Lord!” Many people pray for themselves and their families- us four and no more. But we are descendants of Abraham. And like him we are called to stand between heaven and earth- as citizens of heaven. A priest talks to God on behalf of man and talks to man on behalf of God- we are called a royal priesthood. India will be blessed through you. This city needs you. The destiny of Sodom and Gomorrah depended on the intercession of Abraham. You and I are blessed so that we can bless the nation. The prosperity of our city depends, not on its government but on you and I. In Goa we have a house church in a little village. This village had two bars which was a source of great pain for us. The men would get drunk and spend all their money on drinking. The Lord said that the blessing of this village depends on us. Earth has no access to the blessings of heaven on its own. The only way earth will see the blessing of heaven is when the people of God reach up to heaven, and distribute it on earth. So we prayed for those bars to be gone. In a matter of months, both bars were shut down due to different reasons. Those men are now going home and sitting with their wives and children. We are blessed to be a blessing to the nations. Q. Why did Abraham stop at 10? The next chapter says that he couldn’t find even 10 people. So he poured out his wrath on those cities. There isn’t even one righteous man in the sight of God who can stand on the basis of his own righteousness. So, the one righteous man- the lamb of God who takes away the sins of the world- had to come from heaven. I hope you feel the pain of heaven every time you break bread. The midday sun closed its eyes when its maker was being put to death. He did it so that we can now be that royal priesthood- blessed to be a blessing. We have access to supernatural healing. I encourage you to reach up to heaven, and bring healing down and distribute it here on earth. The peace of heaven is another thing we have access to. Never envy the rich for they never sleep well at night. This peace is within our access. When you have someone who is troubled, you can bring down this peace. There is violence in the cities. God will solve it through you. You are a people of great influence. God Bless you.